In this digital age, more and more users prefer to do an online search while looking for a dream home. Therefore, it is indispensable for every real estate business to have a strong online presence and a website that makes your business unique among hundreds of thousands of realtors and sellers. A high-quality real estate website that has detailed listing descriptions, easy navigation, clear CTAs, aesthetically pleasing user interface, and improved searchability can attract the right audience and help you generate more leads and profit. To fulfill the unique requirements of home buyers and sellers, it is important to include listings and relevant property data to your website to drive engagement and conversions. If you are running a real estate agent and thinking to improve your website, here are some tips and tricks that help you attract unique visitors, grow your online presence, convert more leads and take your real estate website to a whole new level. When potential buyers land on your website, they view listings and want to know every single detail about the property they are interested in. Rather than simply providing a link of Google Maps, it is a great idea to provides your users with the detailed information and help them to make a decision. From budget to nearest landmarks, traffic patterns to any other important detail, make sure to provide valuable information to keep your potential buyers on your website longer. Make sure the web design you choose for your website clearly display the detail listings. For every real estate business, it is important to include property listings and provide the best deals and recommendations. Whether you want to display the luxury estates in your area or want to showcase the properties for sale, featured listing section can help you bring popular properties to the notice of website visitors. Whether you create a featured listing section on the home page or develop a dedicated landing page for it, the ultimate goal is to provide users with the basic information about the property and fulfill their unique property requirements. One of the best ways to make your real estate website unique is to implement augmented reality in your website design. Using this technology in your real estate that make visualization of a property a reality can play a key role in encouraging clients to make purchases. With AR technology, you can give your clients an opportunity to view the 3D models of houses, offices, and apartments of their interest. If truth be told, augmented reality visualization is far better than images and videos and gives a comprehensive and detailed preview of the property for interested buyers. It has the real potential to get customers involved as it provides them with an opportunity to watch 3D buildings, floor plans, and houses in a highly interactive way. If you haven’t used this technology, now is the time to implement augmented reality in your website design and allow buyers to discover properties in a whole new and interactive way. To gain the attention of prospective buyers and sellers and convince them to convert, adding calculators to your website is a great idea. When users can easily calculate their home worth and mortgage estimate, chances are they will surely convert. There is no denying the fact that images have more power to attract readers than text. And when it comes to real estate industry, it makes great sense to include high-quality, beautiful images of your listings. Adding relevant, quality and real images of the properties from different angles can make your website aesthetically pleasing. In addition, it can help buyers decide to make a purchase decision. To make your website more engaging, adding videos is a great idea to provide visitors with the beautiful views of the area or town. A neat, clean and visually impressive web design is the key to attract more and more buyers and sellers and encourage them to explore your website. You should focus on elegant design elements, clear CTAs, efficient menu, quick navigation, and engaging content that attract your audience and provide a great user experience. If you want to build credibility and earn trust, customer testimonials and successful case studies are the best way to convert visitors into loyal customers. 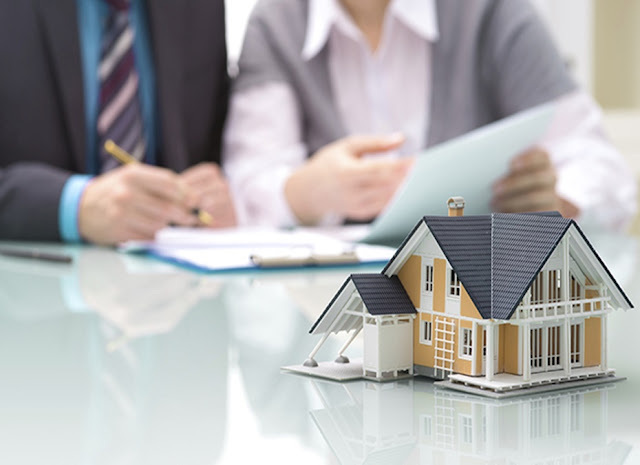 Prospective buyers will be more convinced to get your real estate services when they know you have a large number of satisfied and happy clients. If truth be told, using testimonials and case studies is the most effective way to capture the attention of buyers and sellers to your site. Whether you create a dedicated page for testimonials or simply add a few testimonials of your choice on your homepage, choose statements that truly highlight your expertise and strengths as a realtor. If possible, you can also add video testimonials to increase your website credibility. Today, home buyers and sellers look for online resources to find real estate agents and property details. Creating a real estate website that is feature-rich and easy to use can help you stay ahead of the real estate pack. Implementing these useful strategies in your real estate website design will surely help real estate agents and brokers to make their mark and attract more buyers and sellers. Creating and managing a real estate website takes a lot of effort and determination. Hiring a professional web design agency London is a worthwhile investment that can help you come up with a functional and engaging website that will perform better.